Flooding is not new in Britain, with major floods recorded throughout history. But with predictions of climate change suggesting such deluge conditions may become more common, Dr Anna Carlsson-Hyslop argues that policymakers must heed some important lessons from the history of flooding. History tells us that central government involvement in flood defence has swung first one way, then the other. In January 1928 the Thames flooded, at first inland after snowmelt and heavy rains, and then a few days later there was a tidal flood in London, as high tide combined with a storm surge. The tidal flood broke down embankments, flooding basements at 1am. Fourteen people died. At about the same time as the 1928 flood, central government was becoming more involved in flood defence. The Treasury was not keen to take on the increased financial responsibilities implied by the recommendations of a Royal Commission on Land Drainage, but in 1930 the Land Drainage Act saw them implemented. This Act broke some of the traditional linkages between local benefit and payment and increased the Treasury’s financial involvement in land drainage – and increased central government involvement in flood defence. In early 1953 over 300 people died in a coastal flood on the East Coast. After this flood central government involvement in flood defence increased again, in particular in coastal flooding, with the Ministry of Agriculture and Fisheries co-ordinating research into storm surges. Over the last few years the pendulum has swung back towards local authorities, who have again become more involved and responsible for flood defence, as they were in the inter-war period. But following the UK’s recent winter’s flooding, central government has once again become involved. These swings in central government involvement appear to have had relatively little impact on debates following floods – these have often focused on the causes and have descended into blame games. Dredging has been a commonly requested response to our recent floods, especially in the Somerset levels. There have been many such calls for increased drainage or dredging throughout history – but also the opposite, with many arguing that an increase in this activity led to more flooding. Similar debates about drainage and dredging took place again and again throughout the twentieth century and, of course, continue with vigour today regarding the Somerset Levels. During the recent flooding, politicians began very publicly blaming each other, plus other state actors such as the Environment Agency. Such blame games are a common feature of the fallout from supposedly ‘natural’ disasters – and often affect government policy and crisis management. After the many deaths in the 1953 East Coast flood, leftist members of the Labour Opposition criticised the government, for example questioning whether a government circular from 1952 limiting the use of steel for flood defences had caused weaknesses in defences. The blame game impacted the government’s response to the event. Soon after the coastal flood the Treasury agreed to double whatever the public contributed to the so-called Lord Mayor’s Fund, the key channel for distributing charitable aid to those affected by the flood. Initially the Chancellor had wanted to stop these payments when the government’s contribution had reached £2m. These contributions went well beyond this sum as, while the Chancellor had been away, the Financial Secretary and Second Secretary had decided any such stop would be unwise. In a secret memo to the Chancellor in mid-March, it was argued that it was ‘politically impossible’ not to meet the original pledge. Similarly, during the recent flooding David Cameron very publicly stopped the government’s infighting, but also responded to the calls for dredging by promising increased funding for it and flood defences more generally. So there have been many similarities in the response to floods over the last hundred years. Not only have floods kept happening, but the debates that inevitably follow them have been remarkably similar over time. They typically centre on what caused the flood, such as (lack of) drainage, and often turn into heated blame games. It will be interesting to see how far the pendulum swings towards central government involvement following the recent UK floods – and whether we can move beyond the recurrent debates and finger pointing. 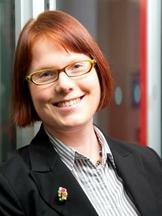 Dr Anna Carlsson-Hyslop is a post-doctoral Research Associate at the Sustainable Consumption Institute at The University of Manchester. She is currently working on a project on the history of energy demand in 20th century Britain.